On November 11, 2014 Joshua James of CybercrimeTech.com gave a presentation at the Korea Linux Forum on Linux and Law Enforcement: Challenges and Opportunities. Presentation slides can be found at the link. A bit about the talk can be found below. Overall, I thought the Korea Linux Forum 2014 was very interested. I'd never been to that kind of conference before, and I think it was not so usual to have a speaker talking about how criminals and Law Enforcement are using Linux / Open Source. I think most engineers were maybe not so interested, but I seemed to get a bit of interest from the legal side. All-in-all, definitely a conference I will try to attend next year. Like all technology, Linux can be used for good or evil. Cybercrime and digital forensic investigators must be able to investigate Linux-based systems that have been attacked, or have been used for criminal purposes. 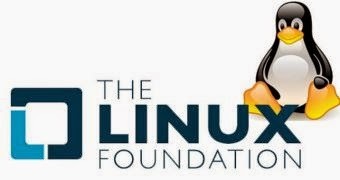 While hackers have adopted Linux for its power and flexibility, Law Enforcement have mixed feelings about Linux and open source projects in general. This talk will discuss how both Law Enforcement and criminals are using Linux, current perceptions of Law Enforcement toward the use of Linux and community-developed software, and legal considerations about the use of open source tools in digital investigations. All technologies are vulnerable to criminal abuse. This talk will help the community understand what Law Enforcement are doing about current cybercrime cases, and what role Linux (and the community) play in both supporting and preventing digital crime. It is hoped that if developers, administrators and users are more aware of the challenges Law Enforcement face, then not only can the security of the ecosystem be improved, but also justice when the ecosystem is criminally abused. All technologies are vulnerable to criminal abuse. This talk will help the community understand what Law Enforcement are doing about current cybercrime cases, and what role Linux (and the community) play in both supporting and preventing digital crime. It is hoped that if developers, administrators and users are more aware of the perspective of Law Enforcement, then not only can the security of the ecosystem be improved, but also justice when the ecosystem is abused.